There is something to be said about a classic style chain necklace. Popularized decades ago, these styles of necklaces are often worn in the urban scene as a way to polish off a well-put-together outfit. promising a necklace that can be worn for years to come. Measuring only 22 inches in length, it is the perfect size for wearing with almost any outfit. 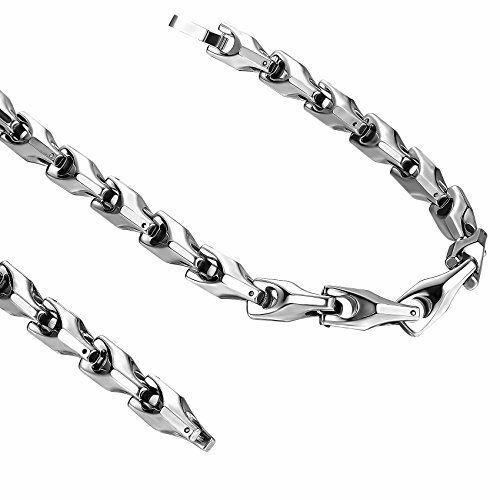 Order the Urban Jewelry Men's Tungsten Chain Necklace and complete your look today! If you have any questions about this product by Urban Jewelry, contact us by completing and submitting the form below. If you are looking for a specif part number, please include it with your message.